While Winterhalter painted her in the low cut, frothy evening dresses concocted for her by Worth, photographers depicted Eugénie as a demure, well-dressed woman. As the female head of state, she was expected to embody the virtues of Second Empire womanhood, while promoting French fashions and fabrics. 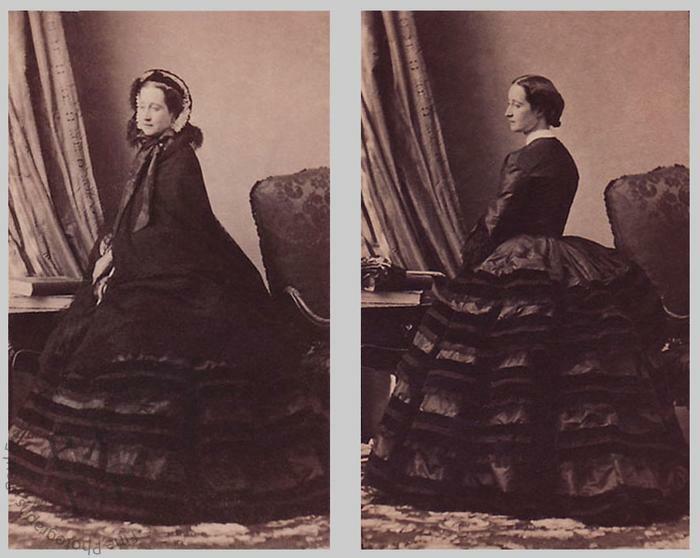 The modest, introverted poses she invariably adopted for her official photographs were inspired by the fashion plates of the day.